​Born in Brooklyn, NY I've moved around a bit and even lived for a time on a dairy farm in Minnesota before moving back east. Throughout my wandering I always considered myself a Jersey Girl. I met the love of my life and moved back this time to Sussex County. My husband, Pete, is a lifelong Sussex County man. A varied career path from working with the disabled led to becoming a volunteer EMT, which in turn led to working in hospital emergency rooms and then in a woman's state prison. After a few years I took a break from medical and became the owner of Heavenly Brew, a specialty coffee shop in Sparta NJ, and small restaurant in Lafayette. Life handed some setbacks and I ended up back to medical, but this time in veterinary emergency hospital. During the poor economy I was laid –off from a long time position that I cared about. Devastated, I wondered what I was going to do with my life. Finding comfort in my love of reading, I realized it was now time to follow my dream of writing. It’s been a long road but worth every minute of it. Now I'm a published author! I'm also working in a people medical office again. More projects are in the works; from Kisa, the second book in the Shield-Mates of Dar series, to the Legends of Aimhirghin, another fantasy romance. Impact at the Rock House Grill is a contemporary romance also in my soon to be finished folder. Thank you for taking the time to read about me. Each time you open the pages to one of my books I hope you’ll be swept away by the fantasy but know that in the reality never to give up on hope. One day while I was at work, my dear husband Pete called. His car had broken down and he was taking it to McGuire Chevrolet in Newton NJ for repairs. Teasing I asked him to check out the Camaros while he waited. A short while later he showed up. "Come, see what I have." We walked outside and there she was. Snowball in all her glory. "Do you want it?" "Are you kidding me?" I asked. Other workers may get flowers or candy sent for special occasions, but how can you not love someone who brings you a hot sports car for no occasion other than he loves you. Of course he says its the most expensive water pump he ever paid for. The Chevy Camaro makes several guest appearances soon to be released Rock House Grill. Impact Series Book 1. Introducing Jamie Banta a very talented woman. The story's not over when you type "The End." It's just begun. Authors need an appealing cover that grabs their reader’s interest and tells them what to expect about the genre, mood, emotion, and message of their book — all in a moment’s glance. 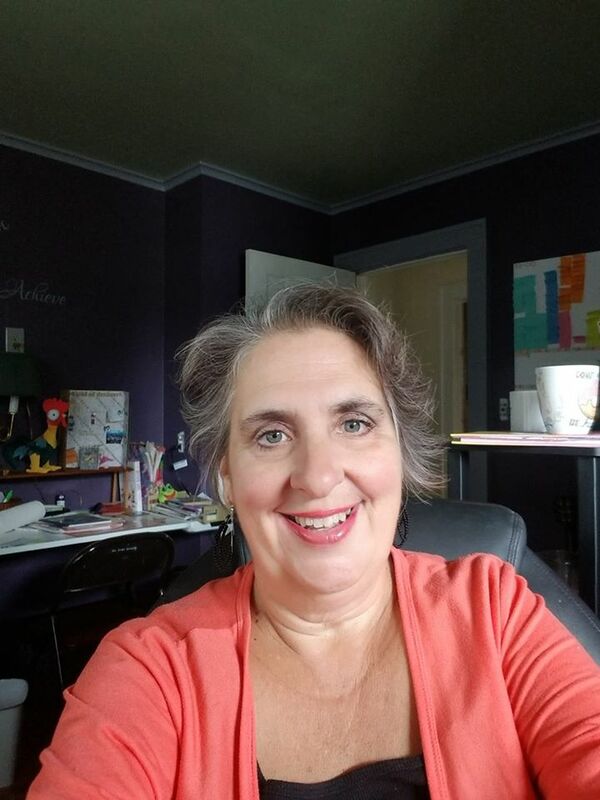 I'm an author, teacher, artist, and former law office manager, and I wanted to put my love of art, books, photography, and my administrative skills to good use. JamieBee Designs was born. I love designing custom print and e-book covers from Romance to Non-Fiction. I also offer additional services such as one-of-a-kind premade e-book covers, book formatting, promotional materials design, and Wordpress website makeovers.